Earlier this month, I had the opportunity to participate in the Japanese American Citizens League /Organization of Chinese Americans Leadership Conference held in Washington DC. It was a unique opportunity to meet with other Asian Americans who had a vested interest in learning about political and civic issues facing the Asian community as well as developing innovative ideas to address them. Most of our time during the conference was spent listening to a wide variety of speakers that included WWII veterans, professors, community advocates, Congressional members and staffers, as well as ethnic and mainstream journalists. Although each of the speakers came from different backgrounds and fields of work, their message was harmonious to some extent. Almost each member of every panel spoke about the importance of our community’s members representing our community’s issues. Deepa Iyer, SAALT’s Executive Director spoke on the panel titled “Biased Based Incidents in the Minority Communities: History to Today” during which she went through a brief history of South Asians in the United States followed by a discussion related to bias incidents within the South Asian population, especially following the 9/11 backlash. In addition to these panels, we were given the opportunity to discuss with each other development and outreach ideas in an attempt to build closer ties with local OCA and JACL chapters as well as other Asian American organizations. Each evening we spent visiting a local landmark such as the Smithsonian Museum and National Japanese American Memorial to Patriotism During World War II after which we had dinner at a local restaurant. The DC Leadership Conference was an ideal forum to continue building coalitions amongst organizations working with the Asian American community by fostering relationships between the leaders within them. In his February 24th commentary, Jason Richwine presents the “revelation” that Indian American immigrants are the “new model minority” (see “Indian Americans: The New Model Minority”). Using this flawed frame, he then proposes unworkable and divisive immigration policy changes. As a national non-profit organization that works to foster the full civic and political participation of the South Asian community, we find these characterizations to be quite troubling. Richwine points to the educational and income levels of many Indian Americans (as well as their flair for winning spelling bees) as signs that this ethnic group has reached the highest echelons of success. Such benchmarks belie the truth about the challenges that many Indian Americans face, and create a wedge between Indian Americans and minority communities. In reality, Indian Americans, much like other immigrants, have diverse experiences and backgrounds. Indian Americans are doctors, engineers and lawyers, as well as small business owners, domestic workers, taxi drivers and convenience store employees. Community members hold a range of immigration statuses and include naturalized citizens and H-1B visaholders, guestworkers and students, undocumented workers and green card holders. Some have access to higher education while others struggle to learn English in a new country. As with all communities, Indian Americans do not come in the same shape and form, and cannot be treated as a monolith. Another danger with the model minority label is that it creates divisions between Indian Americans and other immigrant communities. Beneath the seemingly positive use of the “model minority” label is a pernicious racist undertone: the purpose, after all, is to compare one set of people with another, and the result is to pit minorities against one another. Comparing Indian Americans with Mexican Americans, as Richwine does (“In sharp contrast to Indian Americans, most U.S. immigrants, especially Mexican, are much less wealthy and educated than U.S. natives, even after many years in the country) is an example of the sort of constructed division between immigrant communities that creates cultural and ethnic hierarchies. The use of the model minority label results in placing Indian Americans “above” other communities based on certain factors such as educational aptitude or work ethic – which are clearly shared across ethnic and cultural lines. It further isolates Indian Americans and makes it challenging to build solidarity that naturally arises among communities that share common experiences as immigrants and people of color in America. Using the model minority myth to inform immigration policy can lead to unworkable solutions. Richwine writes that “A new immigration policy that prioritizes skills over family reunification could bring more successful immigrants to the U.S. By emphasizing education, work experience and IQ in our immigration policy, immigrant groups from other national backgrounds could join the list of model minorities” – one that seems to be headed up by Indian Americans. 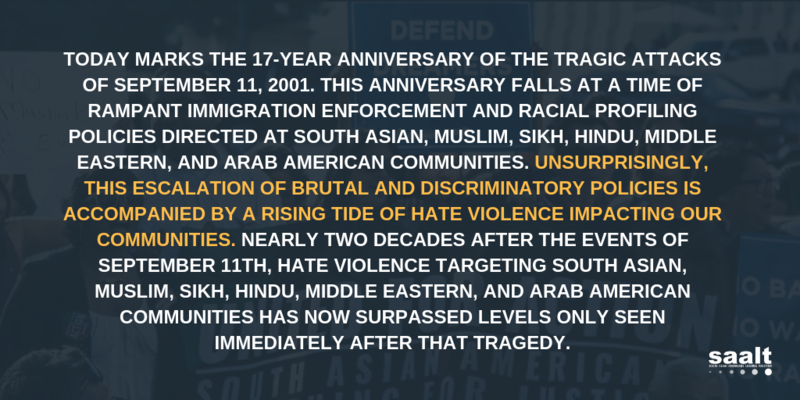 But even for this so-called model minority, immigration policy reform must include family reunification (in fact, family members of green card holders from India have to wait up to 11 years to be reunited with family members); legalization (Indians ranked among the top ten undocumented populations in the country in 2008); and programs that enable workers – skilled and unskilled – to carry out their livelihoods with respect and dignity. Viewing immigrants as commodities to be used purely for their economic value as a basis for immigration policy change denies immigrants the opportunities to establish roots, build meaningful futures, and contribute to the diversity and vibrancy of our country. We reject attempts to create divisions, whether they be within our own community, or with other communities who share similar experiences, struggles, histories, and values. We recognize that our success and our futures are tied closely with that of all immigrants and people of color. Deepa Iyer is the Executive Director of South Asian Americans Leading Together (SAALT), a national non-profit organization located in the Washington DC area. Ms. Iyer is an immigrant who moved to the United States from India when she was twelve years old. As an immigrant who moved from the southern part of India to the American South in the mid 1980s, race has been a cornerstone of my identity for decades. In classrooms in Kentucky, my peers didn’t know quite what to make of me: you were either white or black, and no shade of gray existed for folks like me, who grappled with bicultural identities and immigrant experiences. I remember constantly nursing an acute sense of wanting to belong and to be understood- at school among my peers, among families in the neighborhood, and even among relatives and friends back in India as my lifestyle and interests slowly changed. I seemed to confront the label of the “other” in countless ways, due, perhaps, to my Indian accent, or cultural customs and traditions that seemed out of place, or the struggles of my immigrant parents who experienced an even more difficult transition than I did. My childhood immigrant experience is not very different from thousands of others who also make the journey from elsewhere to here. And yet, those experiences are often not part of the American story as it is told, perceived, and framed; they are outside the scope of what is considered to be “mainstream” and acceptable. That is why I have been watching the election and presidency of Barack Hussein Obama with such great interest. Yet, as the impact of President Obama’s historic presidency is being explored, advocates and activists know well that we have much work to do to realize the fundamental ideals of equality and justice in the United States and around the world. This is certainly the case when it comes to the welfare and rights of immigrants in this country, who continue to be marginalized, alienated, and scapegoated, despite the tremendous sacrifices and contributions they make every day. How will the Obama Administration and the new Congress confront the numerous challenges that have been created by the broken immigration system in this country? Certainly, immigrant rights advocates hope that there will be multiple entry points for discussion and action with policymakers and congressional leaders, given the political changes afoot in Washington. The tenor for these policy discussions will also be set by the varying sentiments that the public has towards immigrants. Will the anti-immigrant backlash that has permeated the country over the past decade shift? Will the general feeling towards immigrants be one of inclusion and openness, given that we have elected the nation’s first president of color? In December 2008, a group of men participated in the beating death of a Latino man in New York City who was strolling with his brother. And as the new year began, we heard of a family of Muslim passengers who were removed from an Air Tran flight due to passenger discomfort. As we persuade the new administration and policymakers in Washington to put forth legislation and policies that preserve the rights of immigrants – the recent reauthorization of the State Children’s Health Insurance Program (SCHIP) which includes provisions for immigrant children and women is a positive example – we also have to change the way that ordinary Americans perceive immigrants in their own communities. This moment in time presents a tremendous opportunity for a new direction in the public dialogue about the contributions, needs, and challenges of immigrants. The climate of openness in the country, catalyzed by an election that saw unprecedented voter-engagement rates and a historic presidency that has moved many to heed the call to service and action, can also signify a new era for immigrant rights. Here is an opportunity for us to destroy that us-versus-them dynamic once and for all. And to do so, we must start in our communities and our classrooms, as well as in discussions at our kitchen tables. We must engage the public through our local newspapers and at town hall meetings, so that immigrant children and families in Kentucky, Kansas and around the nation feel connected to the American story that is being reinvented and re-imagined through this election. Deepa Iyer has been advocating for civil and immigrant rights for nearly a decade through her work. She is currently the Executive Director of South Asian Americans Leading Together (SAALT), a national non-profit organization dedicated to fostering civic and political engagement by South Asian communities around the United States. Listen to this episode of Pacifica Radio show “Uprisings” centered around South Asia featuring SAALT Executive Director, Deepa Iyer, along with fellow guests, Tayyab Mahmud and Vijay Prashad. They discuss topics from the model minority myth to post-9/11 bias and discrimination to the political identities of South Asians in America. Check out this profile of SAALT’s own Executive Director (and proud Takoma Park resident) Deepa Iyer published in the Takoma Voice. The article was written by Pareesha Narag, a student at the University of Maryland and a past student of Deepa’s.